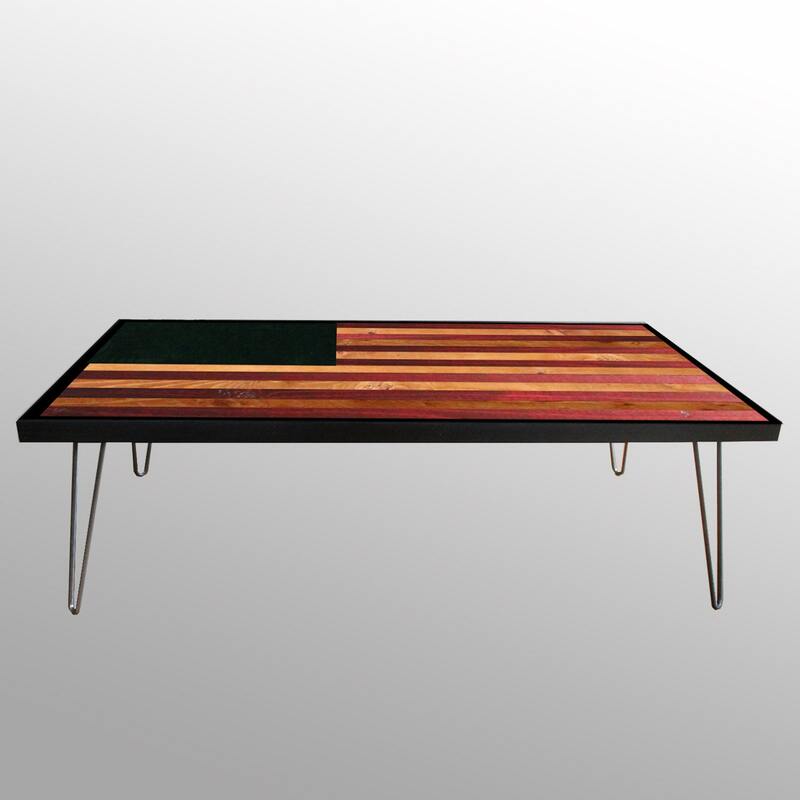 Coffee table is approximately 25" x 49" x 16"-29" tall. 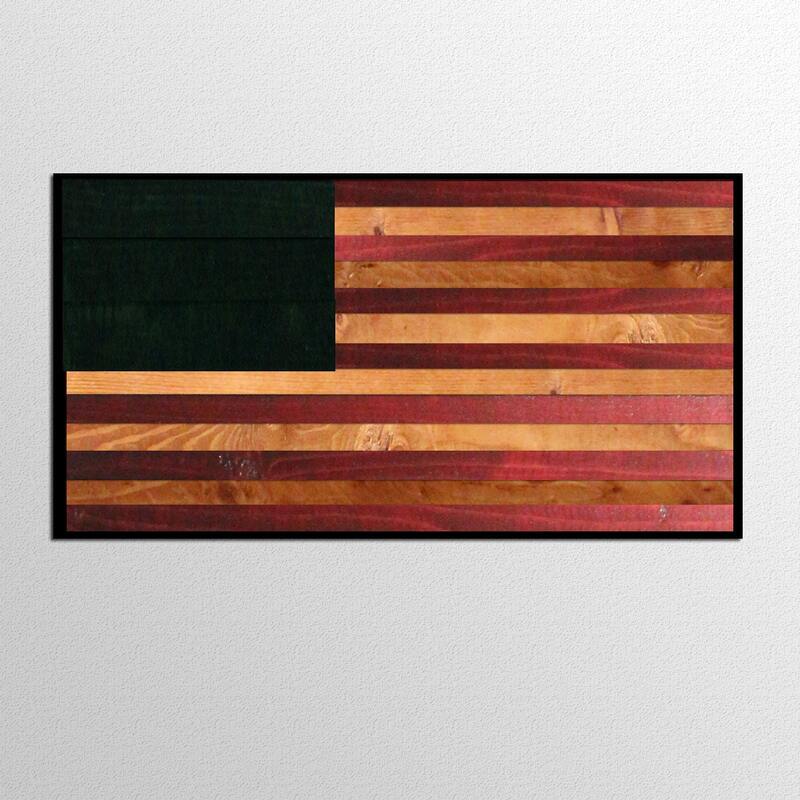 If you'd like a different size than shown please contact me and we can work together to make a custom piece perfect for your home! 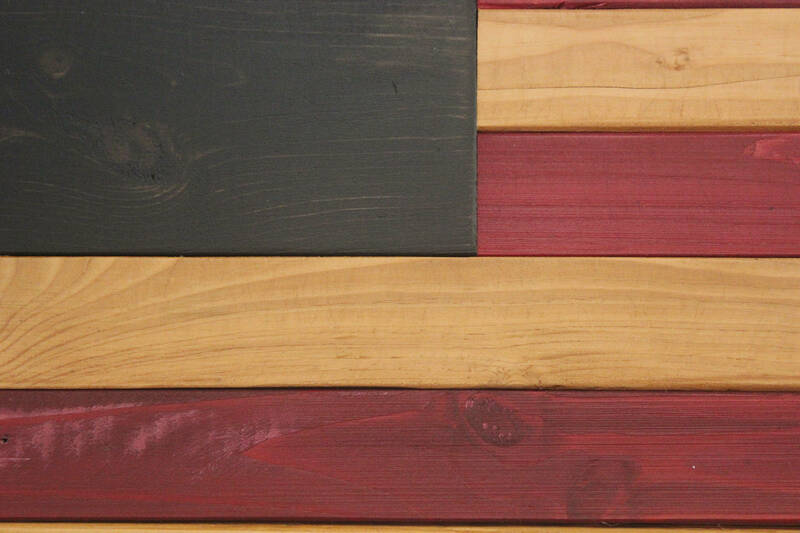 American flag table top is made with a hand picked mix of reclaimed wood, then colored with merlot, espresso, and pine wood stain that is partially transparent for a more weathered and rustic look. 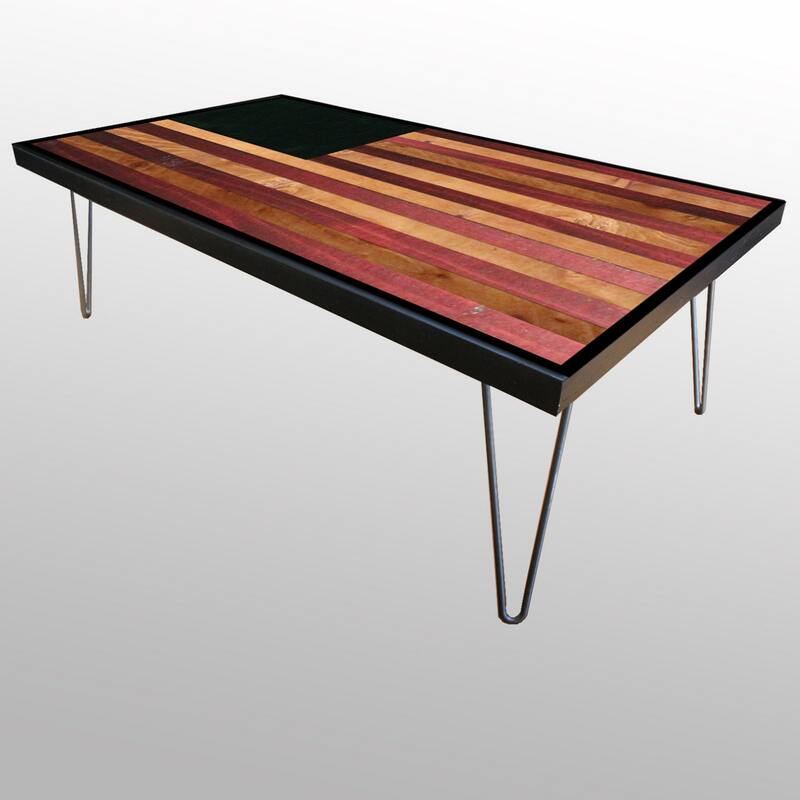 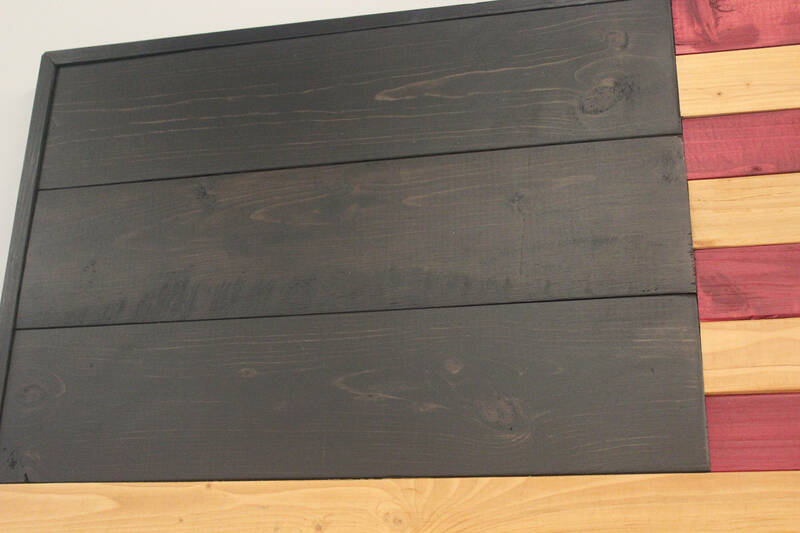 The table is finished with a protective waterproof urethane to preserve the natural beauty of the wood. 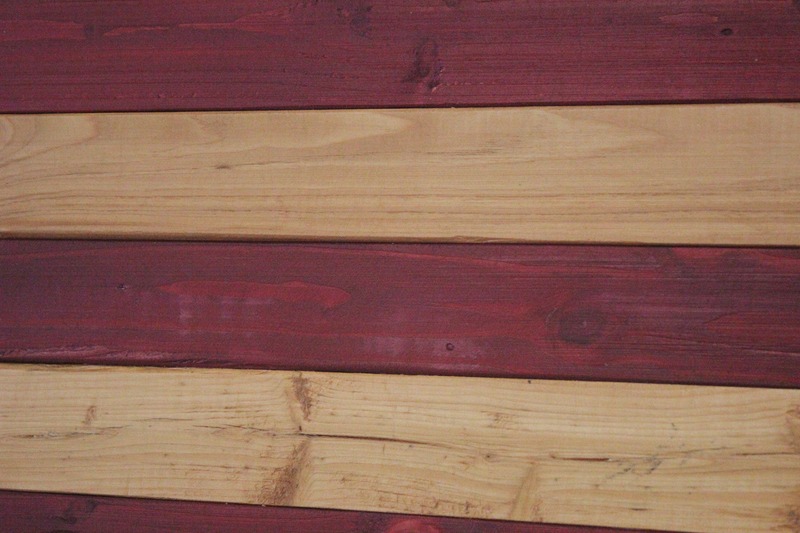 Check out my website for more information at www.woodwallart.com.